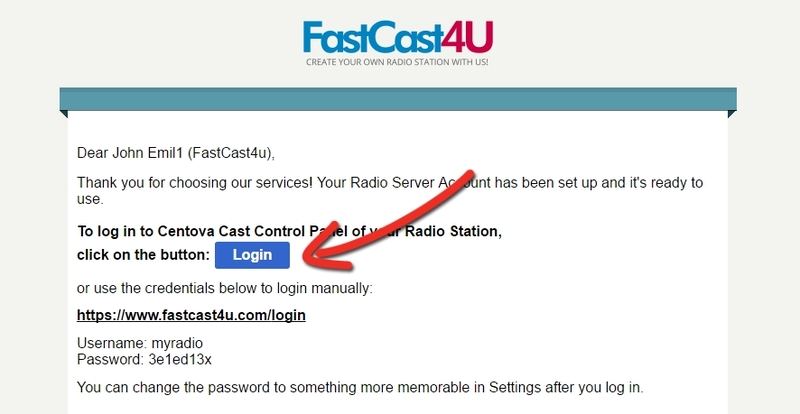 An email with login credentials will be send right after your Server Account is activated. If you cannot find it in your email inbox, please check the spam folder. 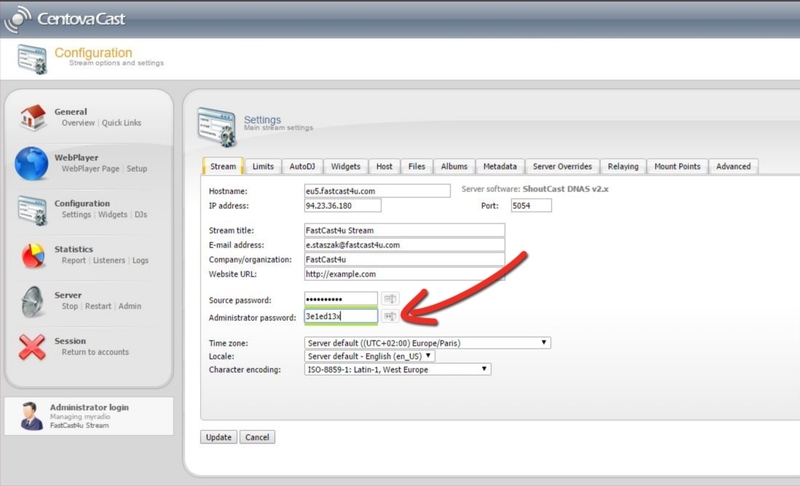 You may also use the credentials provided in email to log in to the Centova Control Panel manually. 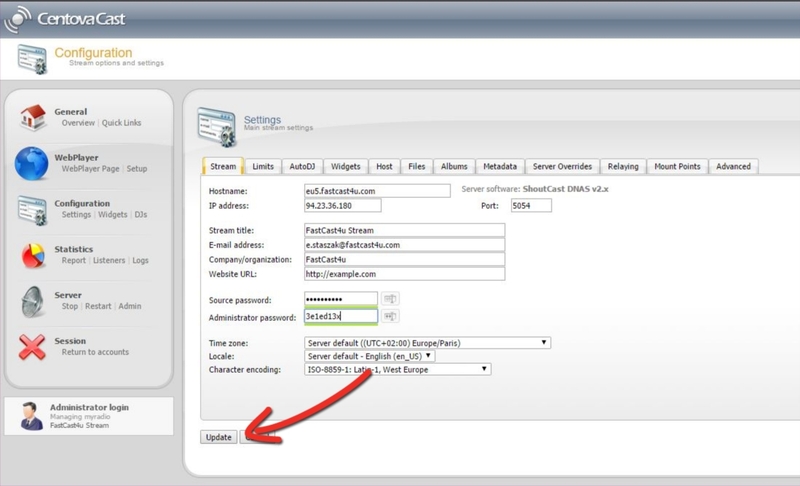 Note: you may select "Remember me" box displayed by your web browser in order to remember your login detail next time. Click on the icon next to dots to view and check the password. Having the password changed, click the Update button. If the server has been started before updating the passwords, restart the server. 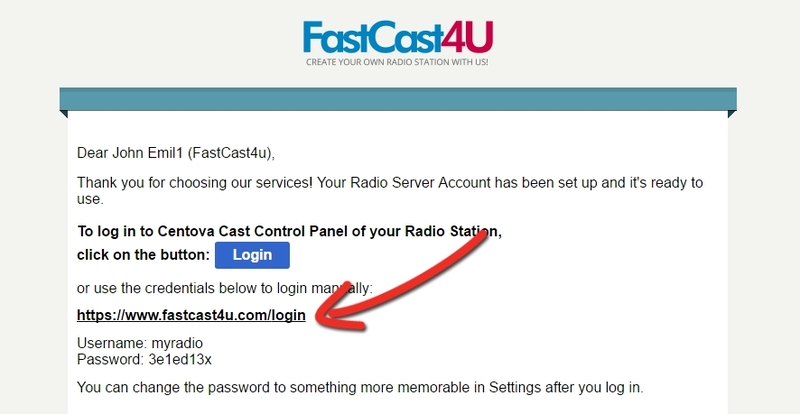 Contact our Support Team should you wish to change your login username or have any issues with login.